Once again, I would like to thank everyone who has visited our page. We have been quite busy. This week, I got sick and I also found time to attend the 139th to 144th Iloilo Kennel Club, Inc. All Breed Championship Dog Show... which I took so many pictures of (all of which where defective except for a couple of ones I am able to salvage with the help of Photoshop). So now, let us start with what my other beloved sister has sent me. Pressies!!! Not for me... but for the pack. 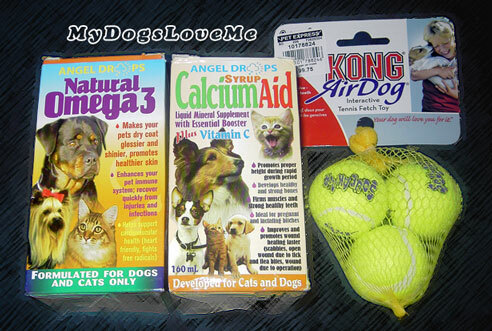 Two bottles of Angel Drops Vitamins and our first Kong AirDog Toys!!! Angel Drops Calcium Aid was given to Peanuts while she was a growing puppy. I guess it must be one of reasons why she's so TALL. She's supposed to be a JRT and Min Pin mix but she's taller than Ginger! Peanuts looks more like a Greyhound-bodied Terrier-looking dog rather than a Miniature Pinscher Mix. What about the Kong Toys? Did they like it? You be the judge. Peanuts even had the guts to take Chooey's squeakers! And for our teaser of Iloilo Kennel Club, Inc. All Breed Championship Dog Show... allow me to present this picture... WITHOUT THE DOGS. The dog show pictures will probably make a good mischief Monday post because they were all really really bad. Cool pressies. Dog shows are so much fun, hope you have a great time. Awesome pressies. I've never been to a dog show before but it sure looks like fun. We need to find ourselves a nice sister like yours - those balls look like fun. 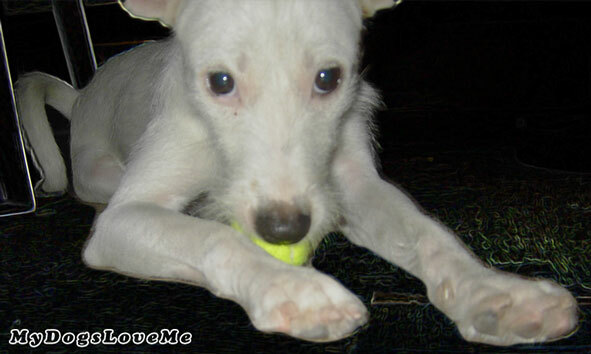 We have had all our tennis balls confiscated by the Momster because Mr. Jaws of Steel Lightning rips them to smithereens and then thinks he is going to eat them. Maybe the kong ones would hold up better. Ooooooo those air kong small balls are my VERY favourite thing in the whole wide world!! You will love them a lot! Kong just makes the best stuff! Great pressies! 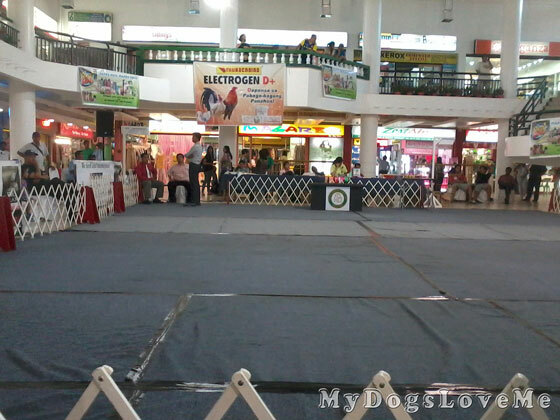 A dog show in a mall. That's just wonderful! At least the dogs don't have to deal with the heat. Enjoy your Kong air balls! Pressies , nice one. Have a great Saturday! Don't you just hate when your photos don't turn out like you hoped they would? Jan has been known to totally miss the subject. You know, the dog isn't even in the pic, or whatever. Sorry you were sick. Hope you are doing better. I think that Kong toys for dogs are the best at lasting a long time. Pretty indestructible which = lots more play time. I haven't been to a dog show in a long time. They are such a fun thing to do to with all the different poochies. I sure watch them on the TV though. Great gifts you received!! I got one of those Kong balls from Beneful when I went to Blogpaws and I really like it!! Very nice pressies, they will enjoy them so much! Glad you're no longer under the weather! Can't believe EVERYONE was bad at a dog show...can't wait to see. Air Kongs are one of my favorites! Oh you got a jack pot of goodies! How lucky you are. I would love to taste some of those nice treats and stuff. Haopee, we hope you are feeling better! We are so glad to be back and see you! How nice it is to have electricity. We've never been to a dog show, but cat shows are lots of fun. So we think the dog shows must be too. What great pressies! I'm sorry your pictures didn't turn out!